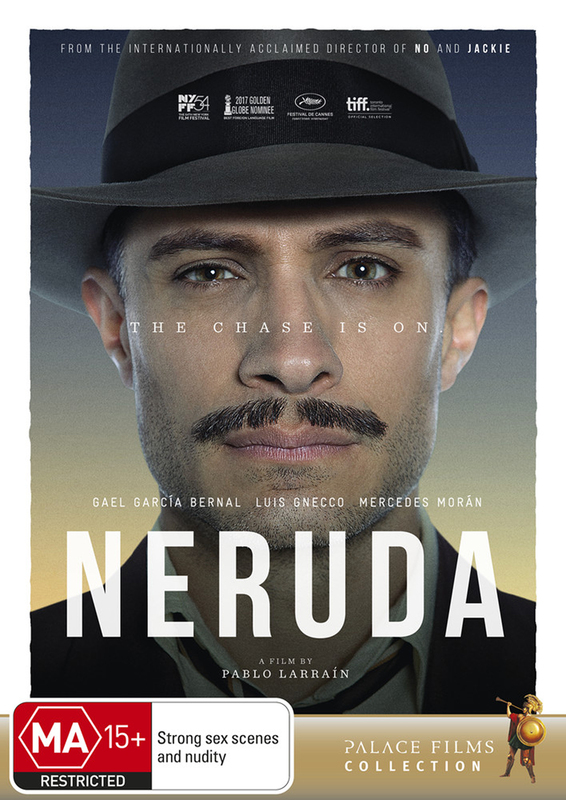 It’s 1949 in fascist Chile, and the communist poet Pablo Neruda — an excellent performance from Louis Gnecco conveying affection, charm and arrogance — is on the run. He’s pursued by Gael Garcia Bernal’s opportunistic police detective whose near misses at capturing the lazily elusive poet only exaggerates his belief in imminent success, but delusion ensues. Pablo Larrain’s critically acclaimed film is a thoroughly enjoyable, big screen experience, intimately observed and fascinatingly opened out from claustrophobia political and domestic interiors into a snowy landscape that offers freedom, but at the loss of home.